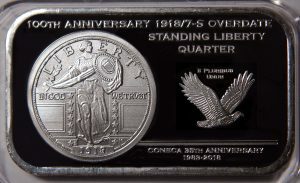 Nine lucky attendees took home door prizes that included copies of The Comprehensive Guide to Lincoln Cent Repunched Mintmark Varieties (Volume 1) by John Wexler, Brian Allen, and John Bordner donated by John Bordner and Strike it Rich with Pocket Change by Brian Allen and Ken Potter donated by Ken Potter as well as high grade encapsulated “AM” Lincoln Cent varieties and pre-release Jefferson Dollar sets also donated by Ken Potter. 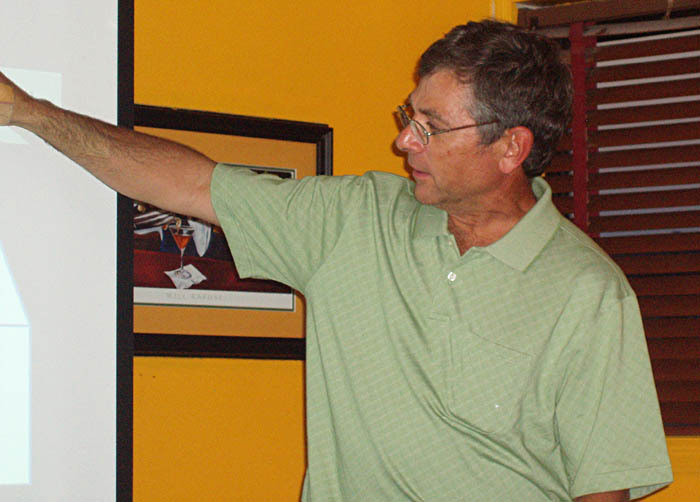 On Saturday morning, members gathered for a club meeting, and club Vice President Mark Lighterman reviewed ongoing club projects (Photo 6). Later that day, members gathered again for the presentation of the Cherrypickers’ Awards. 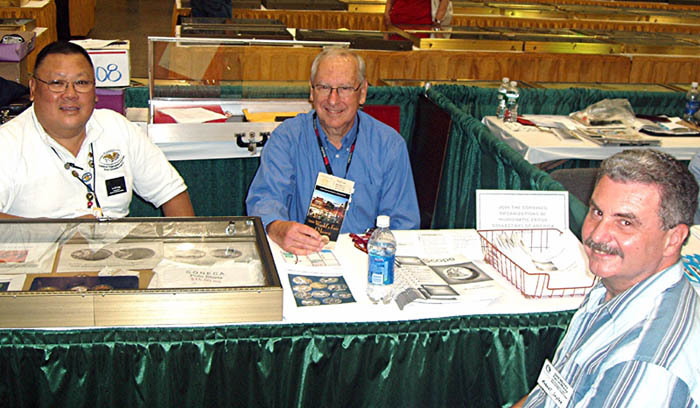 Ken Hill won in both the error and varieties categories for picking a nice selection of Shield nickels (Photo 7). 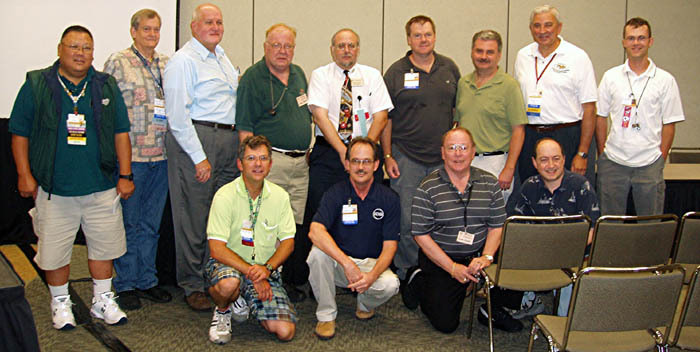 On Sunday, members headed home – already making plans to meet in Los Angeles, CA for Errorama 2009 (Photo 8). 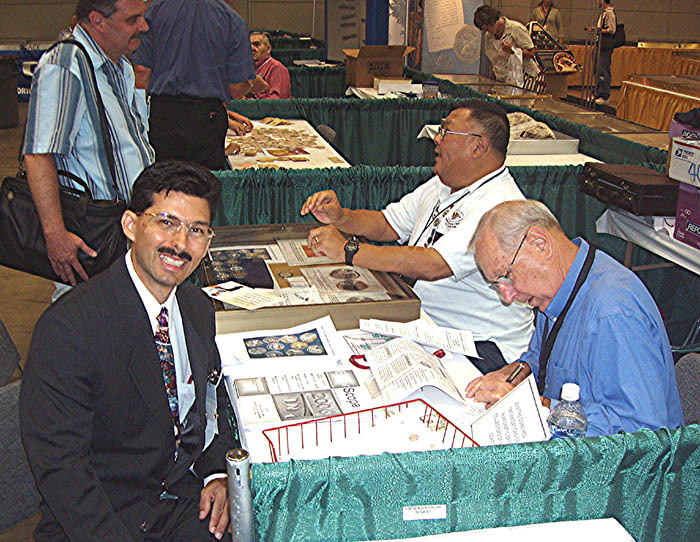 The fun started on Wednesday July 30 as members gathered and renewed friendships at the CONECA table at the American Numismatic Association World’s Fair of Money at the convention center in Baltimore. Lee Gong, Bob Eisemann, and Bob Saylor welcome visitors to the club table. Our club table was busy. 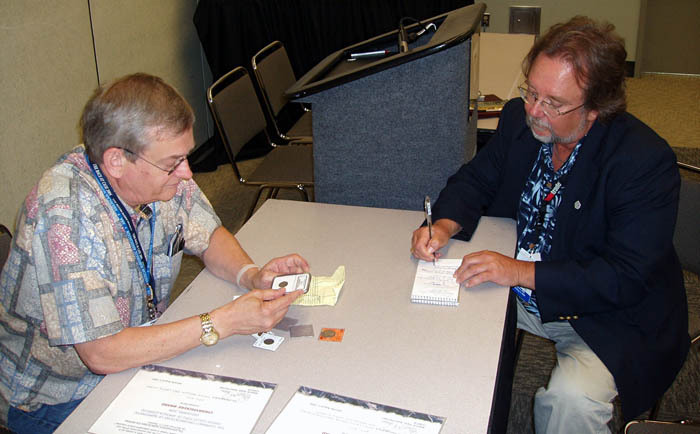 We gave away 100 back issues of Errorscope and an equal number of error and variety coins (donated by Mike Diamond and Eileen Crawford), signed up eight new members (Photo 2), and provided plenty of expert advice to show goers. Lee Gong sold three club shirts and donated the proceeds to the club’s Young Numismatists fund. Bob Eisemann signs up new member Richard Mantia (and Richard’s son Giovanni). 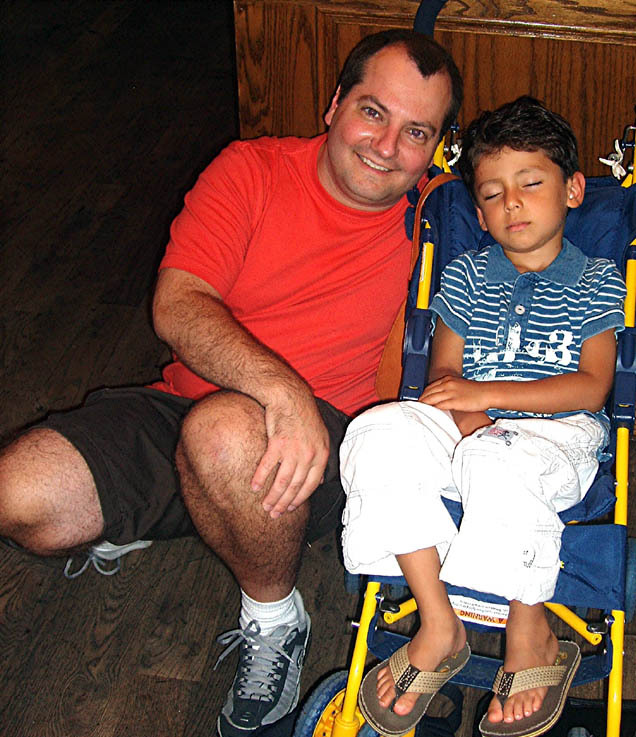 CONECA Errorscope Editor, Frank Leone and his son show different degrees of enthusiasm at the banquet. 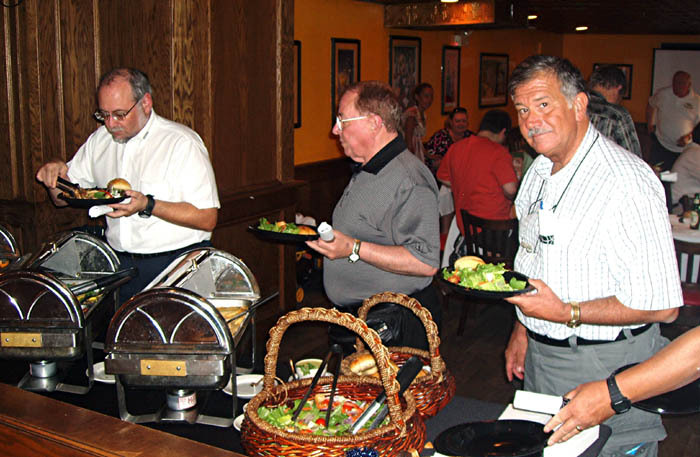 Mark Lighterman, Mike Maloney, and Stan Turrini go through the buffet line. 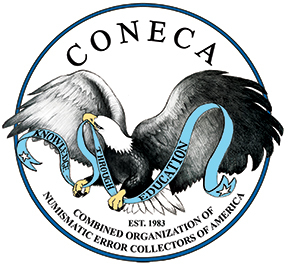 CONECA members pose after the club meeting. 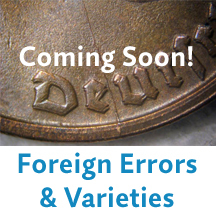 Andrew Perala of Coin World interviews Ken Hill. 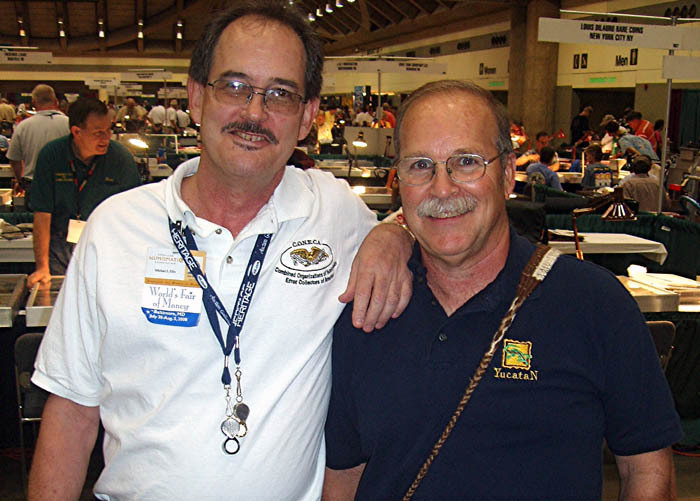 Mike Ellis and Bob Johnson look forward to Errorama 2009.